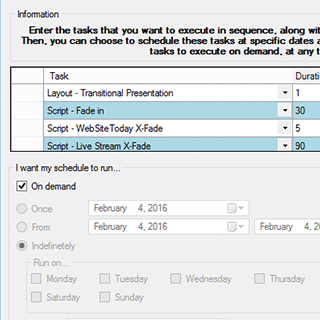 VuWall2 DS is a product that makes it easy to schedule content transitions and manage multiple display surfaces through an easy-to-use scripting tool. 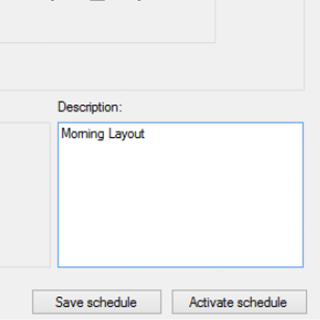 The control panel designer allows to create custom control panels for different types of mobile devices without the need for programming knowledge. 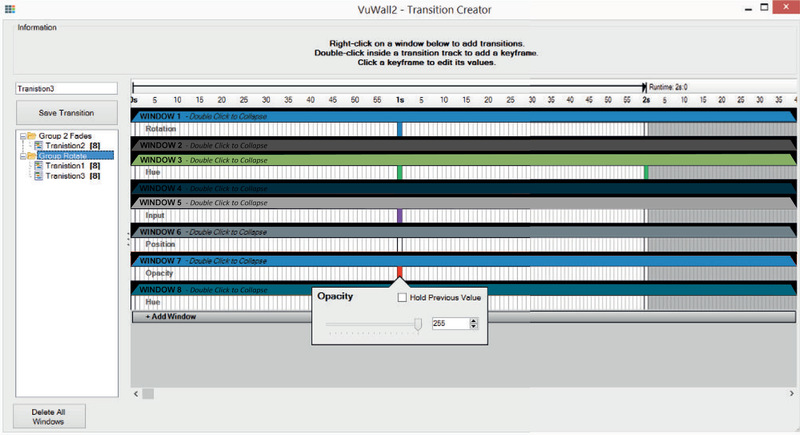 Design transitions with a graphic timeline where parameters can easily be added without the need for complex calculation. 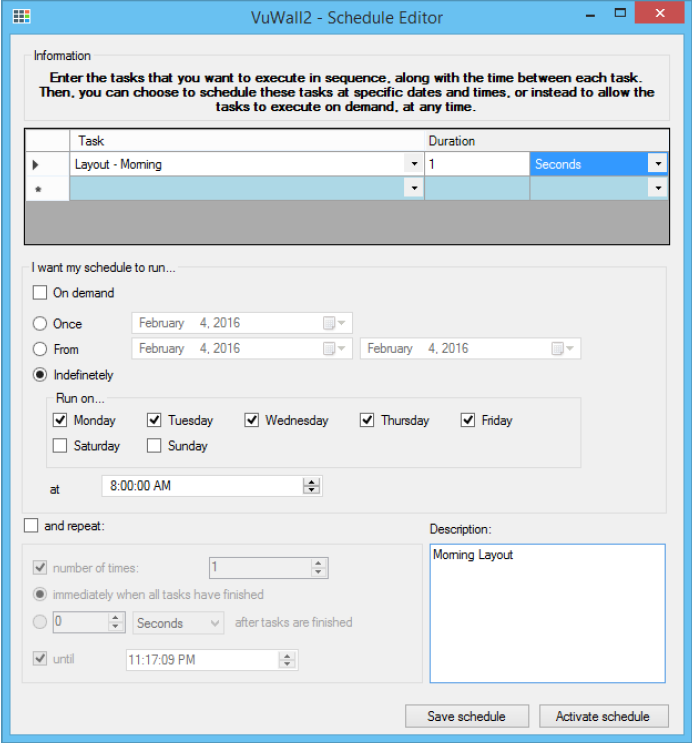 Easily save multiple schedules that can be recalled at any time. 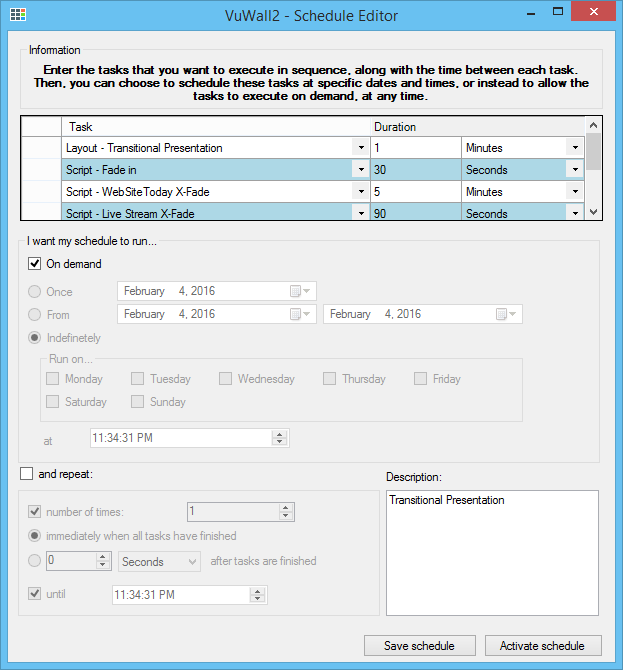 Launch a relative schedule when an event occurs. Absolute schedules are for fixed dates. 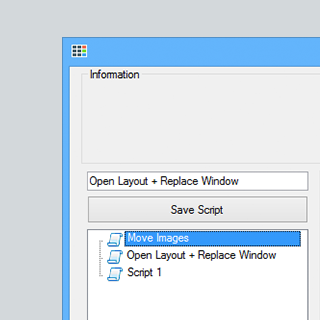 Scripts (or macro commands) can be easily created through the editor that provides the correct syntax. Just adjust the parameters! 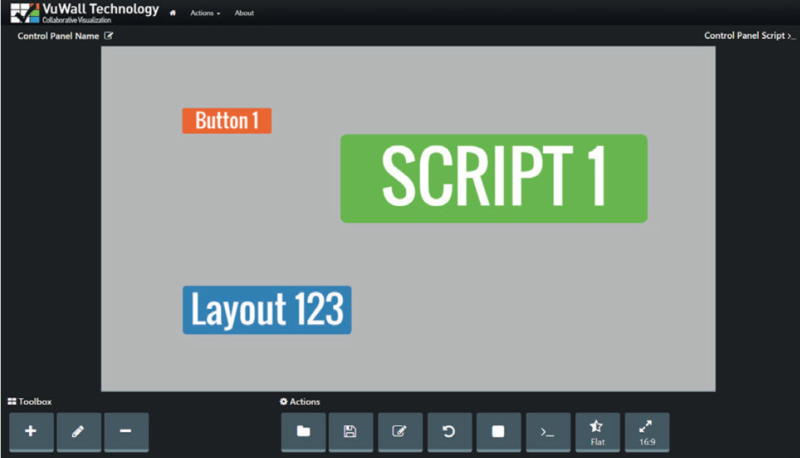 Create custom, control panels for different types of mobile devices. Very simple to configure. No need for specific programming skills.